LuLu Blossom, founded and run by entrepreneur Racheal Kash, was a recent hit with the Fundable community. Racheal’s all-natural, homemade skincare products reached over 106% of its original goal; now that a bit of time has passed since LuLu Blossom’s campaign ended, we reached out again to find out where LuLu Blossom is now and where it’s headed. Q: What will your crowdfunding pledges go towards? A: The funding I have received will be used to put the remainder of my products through stability so that they can be made in higher volumes. I have met with national buyers from Nordstrom along with acquiring interest from global companies like Urban Outfitters. I need to have products ready for orders we would receive from those companies along with the other orders from around the country. Q: How has your business changed as a result of your Fundable campaign? A: My business hasn't so much changed in anyway but Fundable has helped me to understand how important it is to think outside the box to help create momentum, raise funds, and make your business succeed. This has changed my perspective and that will definitely have an impact on my business in the future. Q: Where do you see your business heading? A: BIGGER! I see my business growing into a well recognized brand here in the US and then heading to Europe. I want to grow this brand into something that isn't just a couple beauty care products. It's so much more than that. I envision it as a lifestyle about wellness, awareness, and beauty that exists on the inside and out. I would like to launch a men's line as well. I believe that we all have the same skin care needs and men are neglecting those needs. Q: How was your experience with Fundable? A: Fundable was such a great experience! The constant tweets and posts kept my business current and relevant, something that fellow entrepreneurs could relate to and friends and family of Lulu Blossom were cheering for. Fundable worked very hard to get the press to talk to me about my company and crowd funding which I thought was a great success. Q: Would you recommend Fundable to others? A: Yes, I would and already have recommended Fundable to others and I will continue to do so! Q: What kind of challenges did you face with crowdfunding? A: The Fundable experience has definitely helped me to feel more comfortable reaching out to others for financial help. I am such a proud person so writing those posts and email blasts asking for financial support was a bit hard in the beginning. I think it was also difficult to find new ways to remind people about my funding needs without being annoying. I was surprised that my local news and the business sections of the newspaper weren't that interested in covering our story about crowd funding b/c it is so interesting. Q: How did you market yourself? A: I marketed myself by making Fundable flyers and handing them out at local shows where Lulu Blossom had a booth. I also tweeted and retweeted anything I could about what we were doing. I used Facebook (and still do for anything Lulu) creating posts almost daily with a quick brief on what I was giving for support and the current status on how much I needed. I also sent out email blasts to everyone I knew and didn't know that well. I called my Mom everyday and hounded her to talk to her friends in Florida and I posted on LinkedIN. Q: Any advice for other crowdfunders? A: Be shameless…. In a very respectable way, of course. Keep in mind that it isn't charity either. You are giving something in return for their pledge and it should be something that the public really wants. Also, create some excitement around the campaign to make people want to be involved. After I was fully funded people came up to me beaming with delight that they were part of this accomplishment. 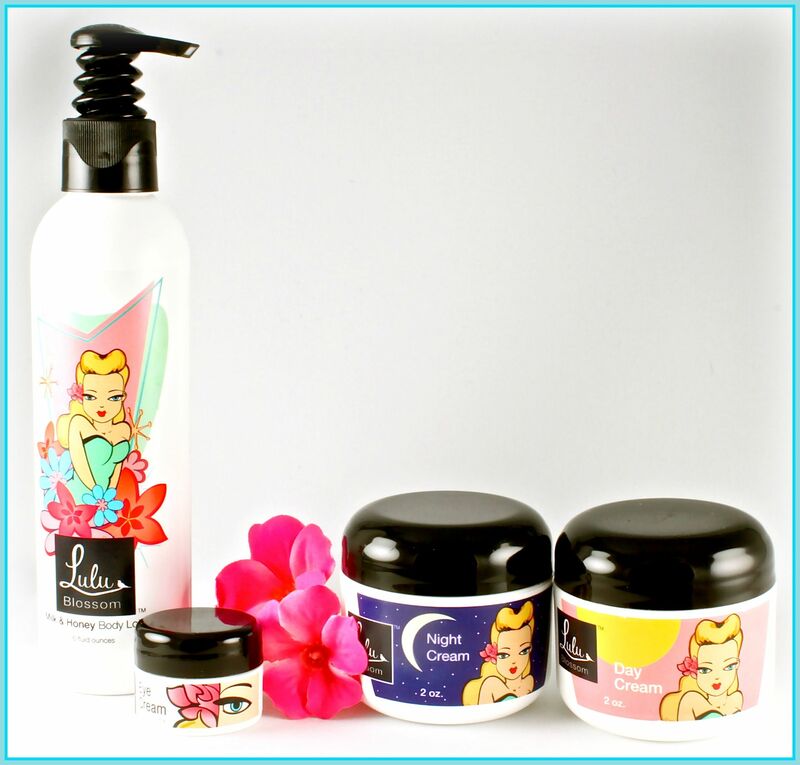 For more information about LuLu Blossom, please visit the LuLu Blossom website.